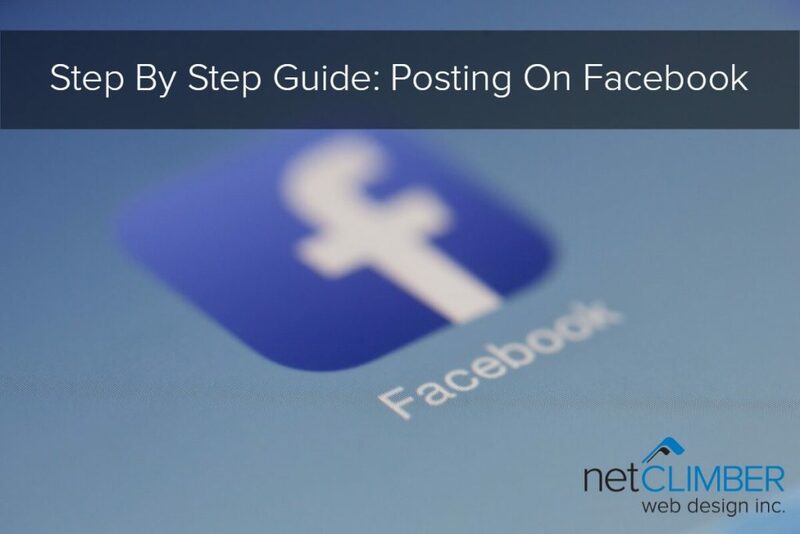 Posting to Facebook is a challenge for many small businesses. They realize their business needs to be present in this space and nurture a following, however, they do not know where to start. 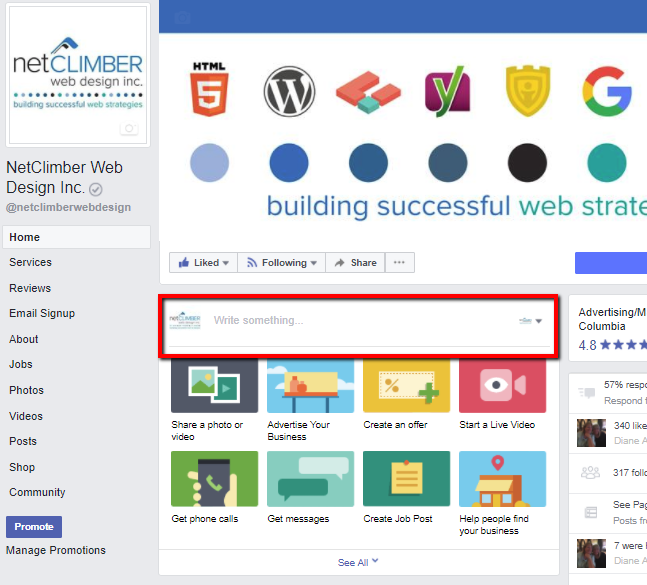 So let’s start with the basics; Posting text, images and links to Facebook. 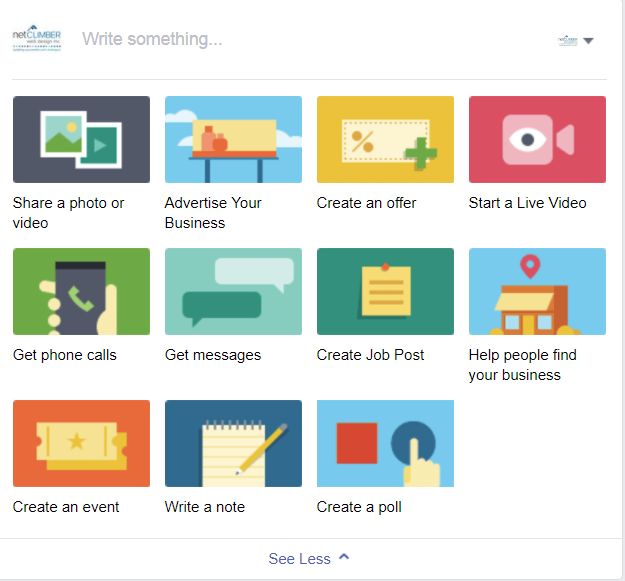 There are many different types of posts on Facebook, Image, Video, Carousel, Text, Canvas, Polls, and many more! 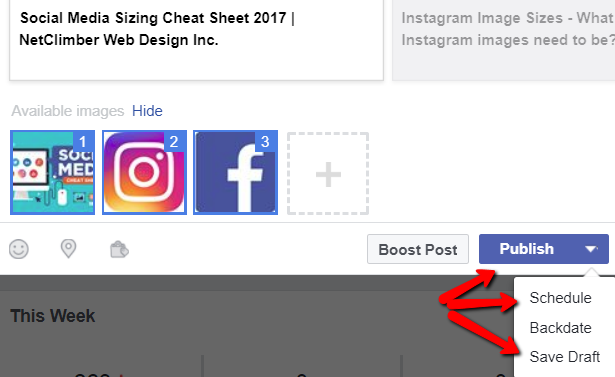 Click on write something box (as outlined in red below) – this will expand the box. This will open up a window for you to select an image from your computer, navigate to the image location in your computer, select it, and select open. This will attach the image to the post. Use the + (outlined in red) to add more photos. 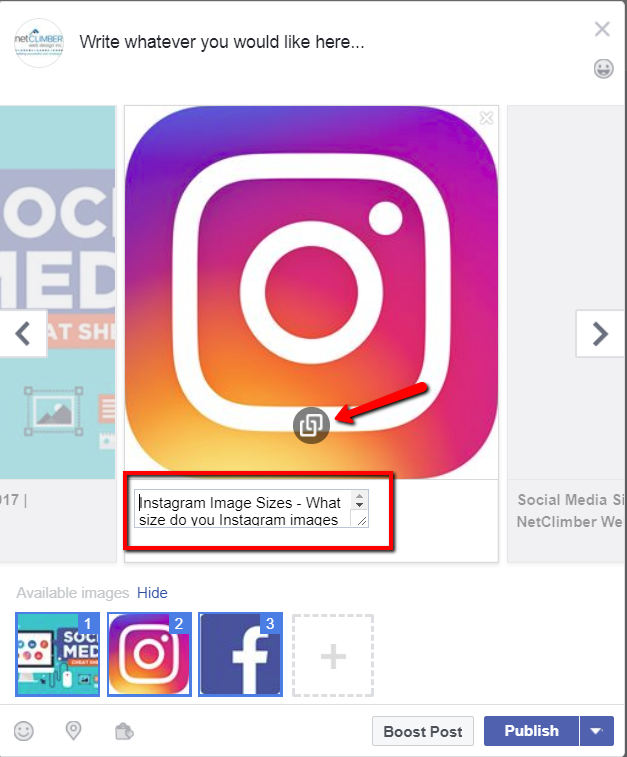 Clicking the + will repeat the step above allowing you to attach a second (or third, fourth, up to tenth) image to the post. 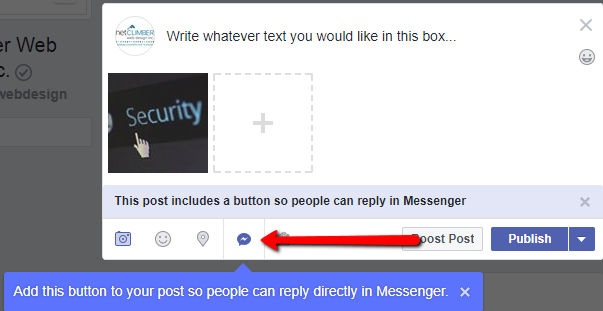 Select the Speech Bubble icon to add a “Message Now” button to post. 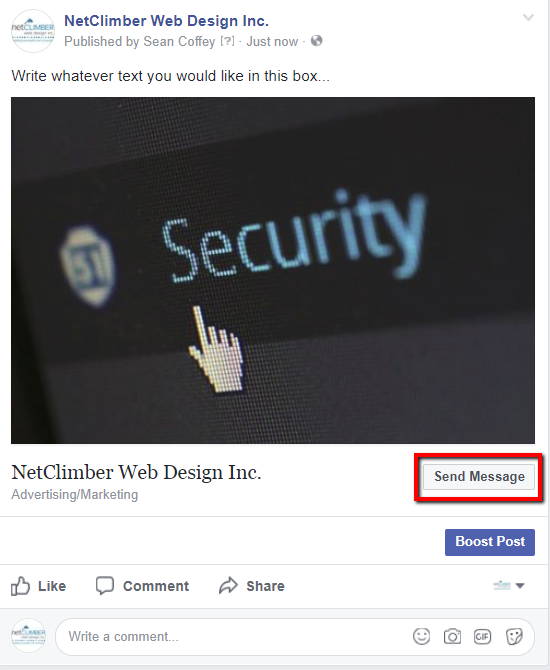 This will allow users to click a “Message Now” link that is attached to your post (see final step to see how it displays). 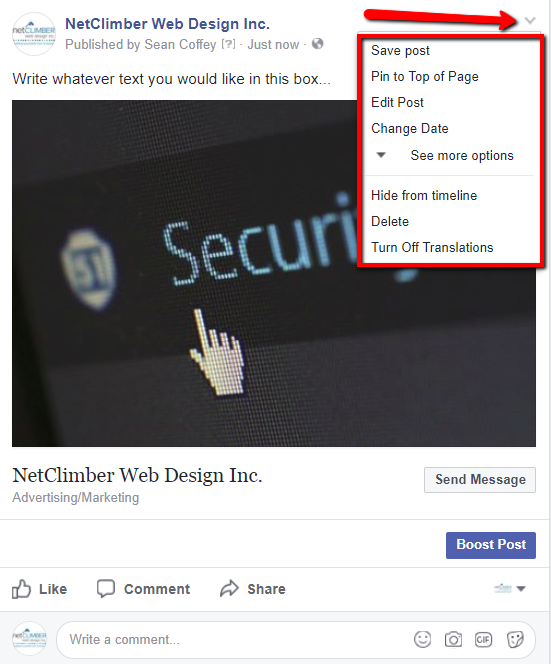 Delayed – Click the down arrow for options to save as a draft or schedule the post to be published at a specific date/time. 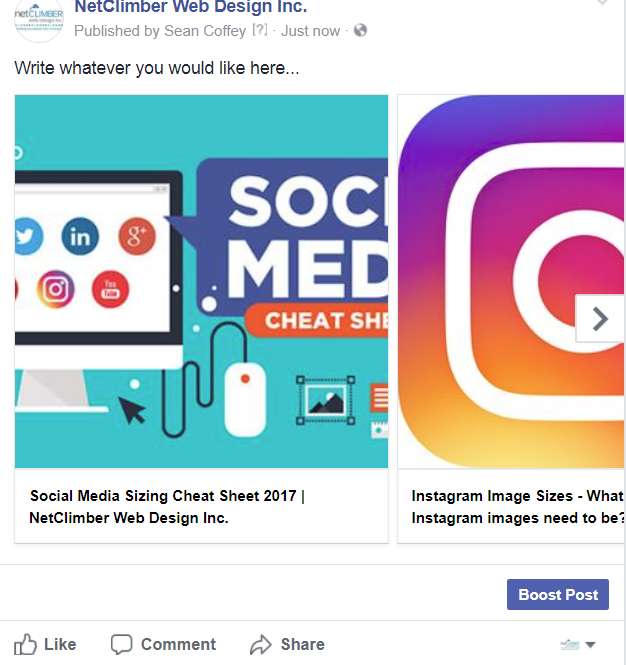 Once Posted – To edit the text select the arrow on the top right of the post and select Edit. Note: only the text can be edited once a post has been shared. To change the photo you will need to repost. The Message Now appears as highlighted in red below, if not selected during creation (Step D) it will not display. Optional: Once the Meta data has displayed within the editor box you can remove the URL from the text area of the box. If you want to use a different image use the + to navigate into your computer and attach a picture to the post in the exact same way we did in the first example. Note: As you can see in this example the image will need to be resized before actually posting on Facebook. See our guide to Social Media image sizes for 2017 for the proper dimensions. 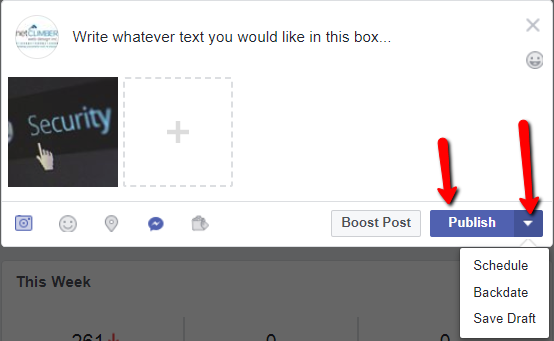 Instant – Click Publish Button and your post will be shared. 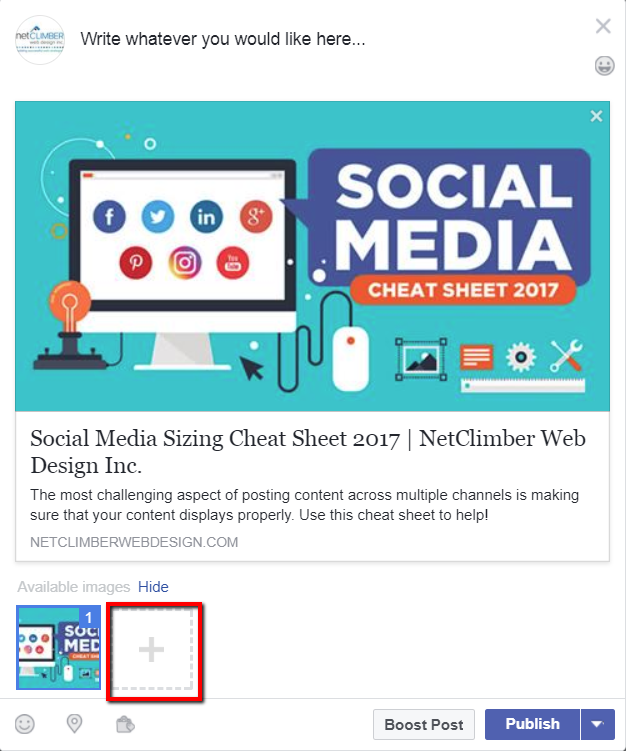 In this example we will be adding multiple product images to a post, the first few steps are all the same until we get to add the images. 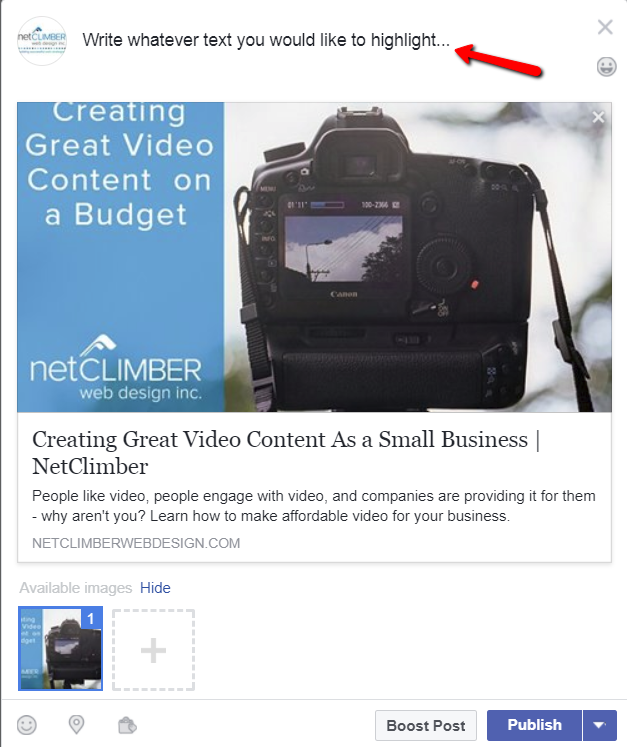 Once there are multiple images selected, you are able to customize the link and text underneath each image. 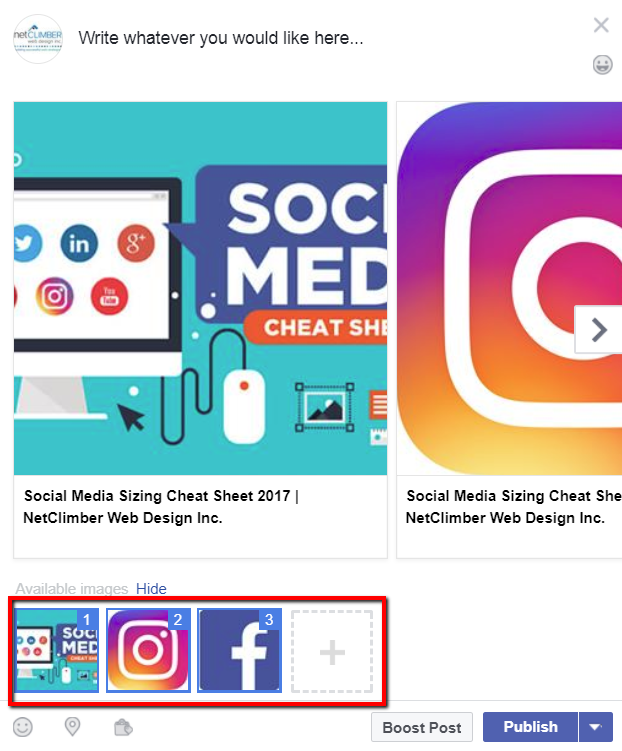 Text Edit – to edit the text underneath each image hover over the text and click – it will open an editor text box – as outlined in Red. 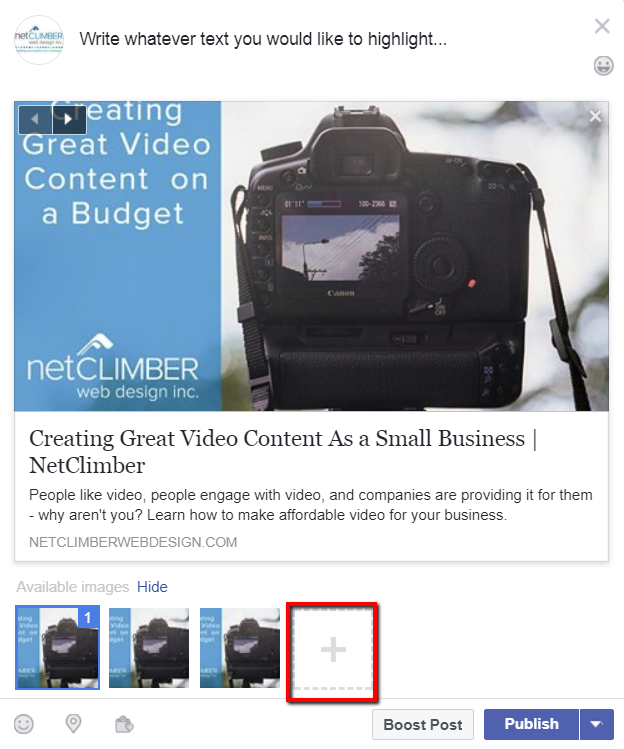 Link Edit – to change individual links for each picture, click the two interlocking squares (see red arrow below). If you do not wish to edit individual links it remain the original link you added in step A.